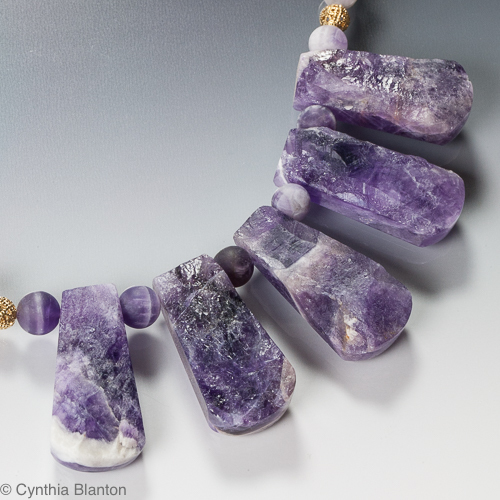 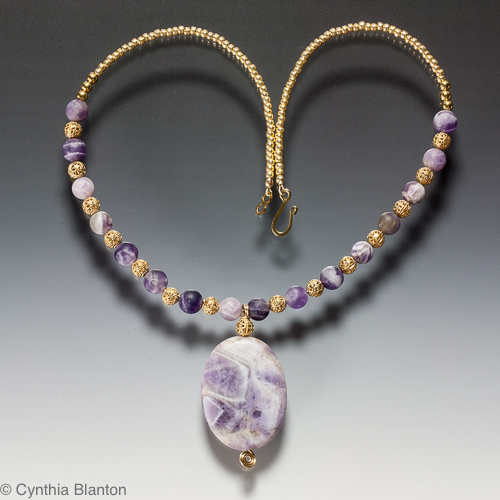 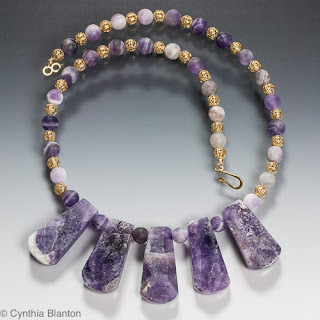 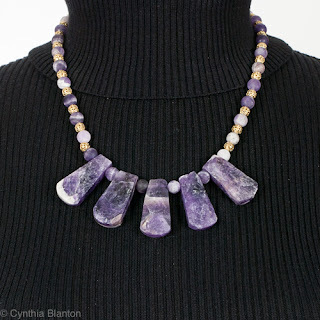 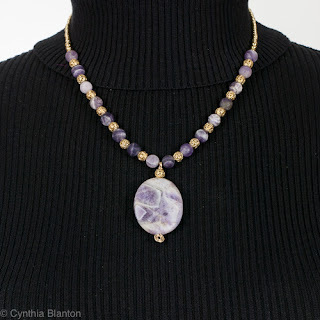 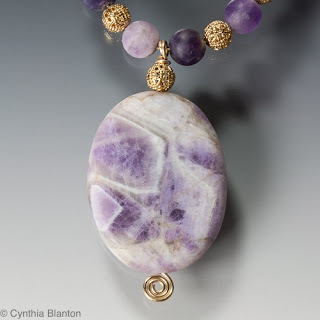 This necklace with one large amethyst bead and many smaller ones has a variety of shades of purple along with gold-plated filigree beads and seed beads. 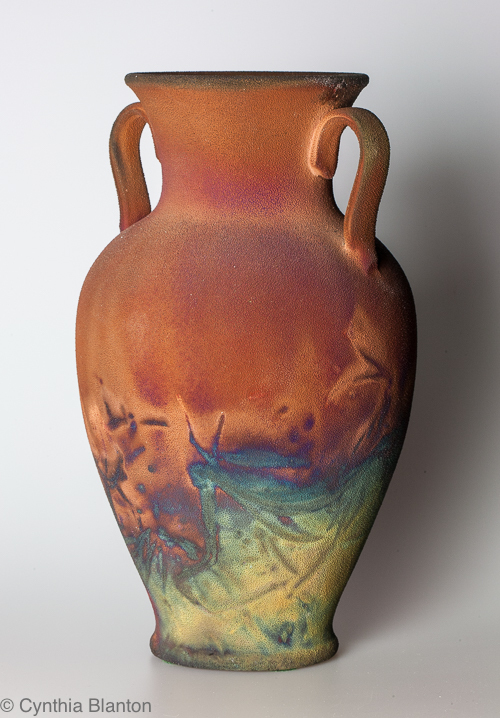 I've always loved Raku pottery in all its many varieties, but I'm particularly fond of this vase that I've owned for years. 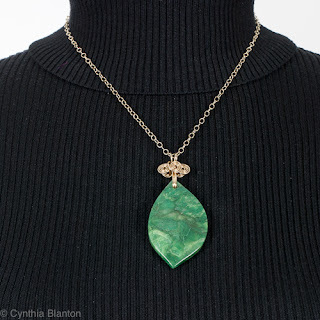 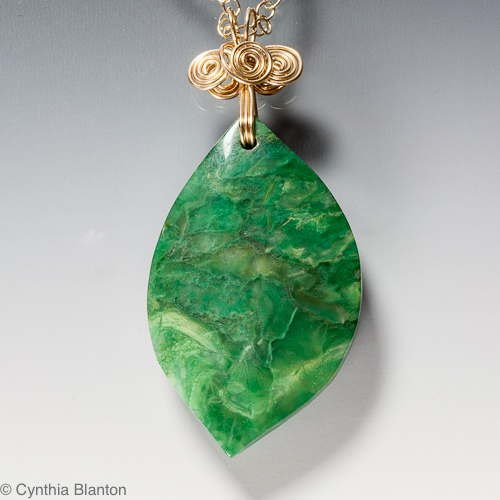 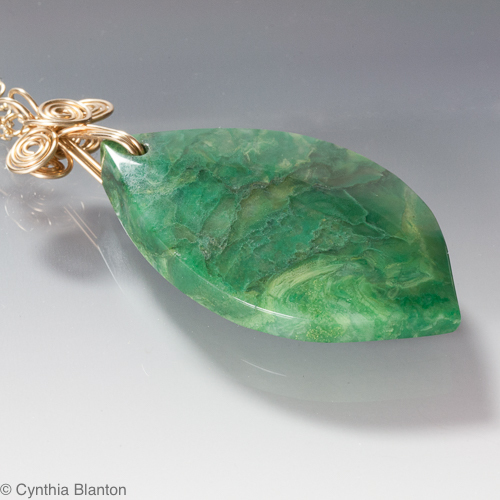 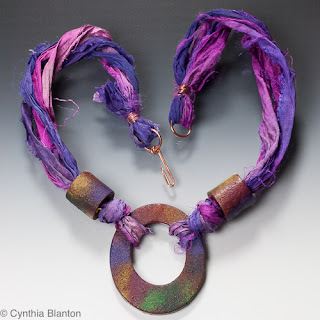 I used it for inspiration in designing this Faux Raku necklace. 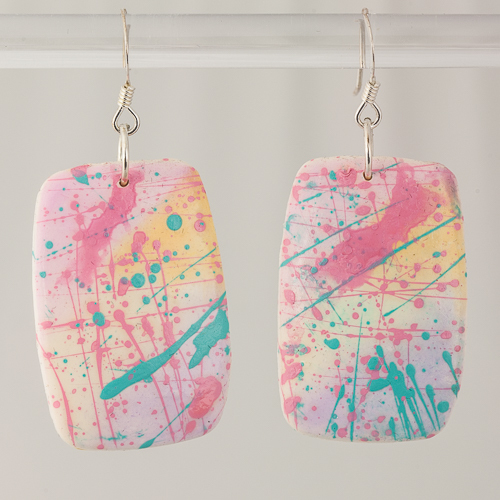 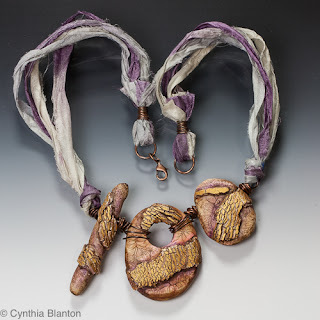 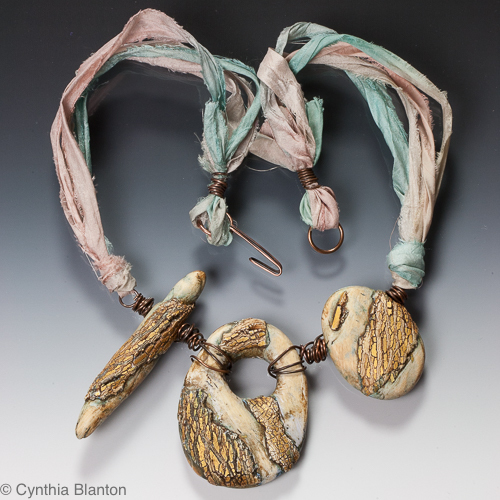 These unique polymer clay and sari silk necklaces make quite a statement. 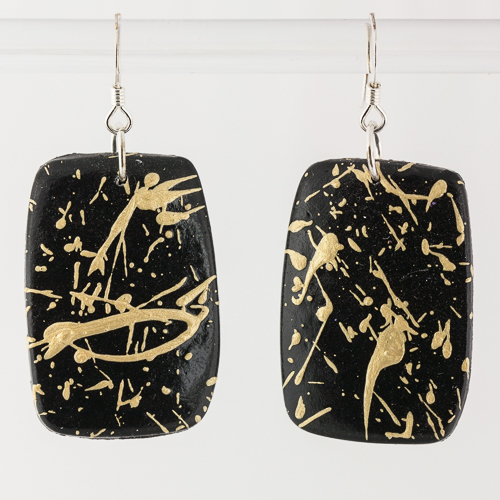 The gold crackle suggests seams of pyrite running through the stones which have hints of color. 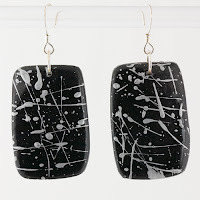 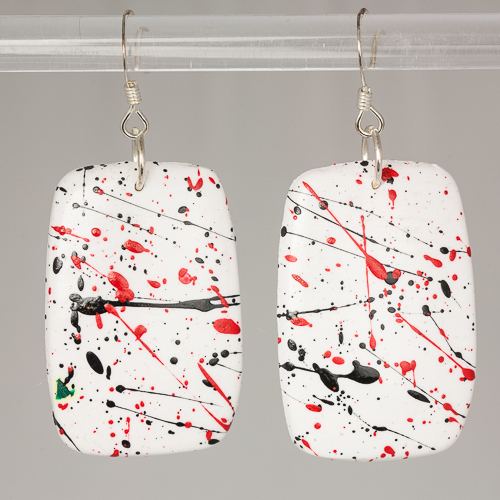 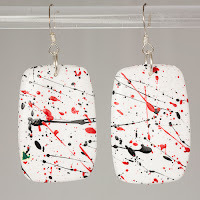 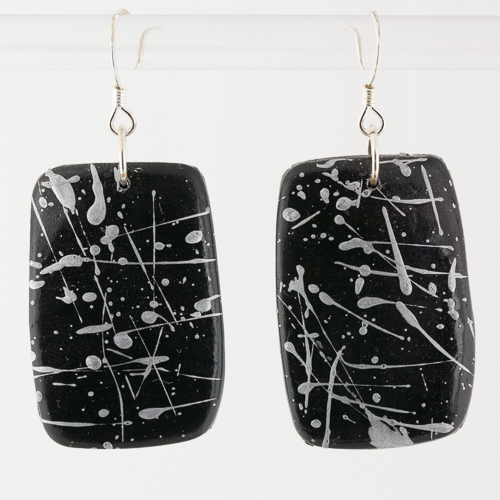 Although the faux stones look like they might be heavy, because they are made of polymer clay, they are actually quite light in weight. The stones are wired together with antiqued copper wire and the same wire is used to bind the ends of the beautifully colored sari silk. 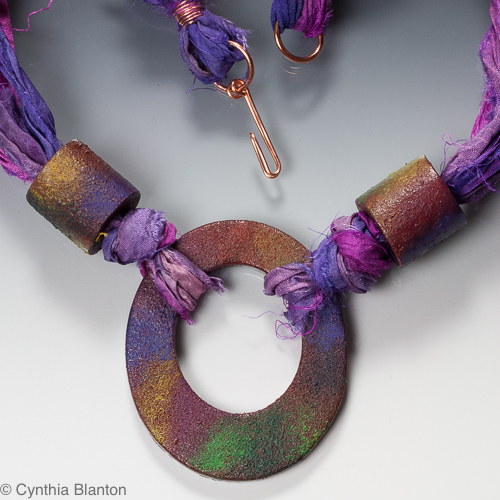 A handmade copper clasp or a lobster claw makes secure closures. 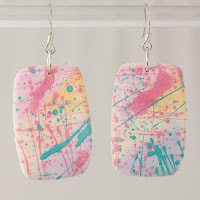 I was inspired by and credit must be given to Staci Louise Smith’s tutorial on Craftart.edu for the design ideas and technique for making the faux stones. 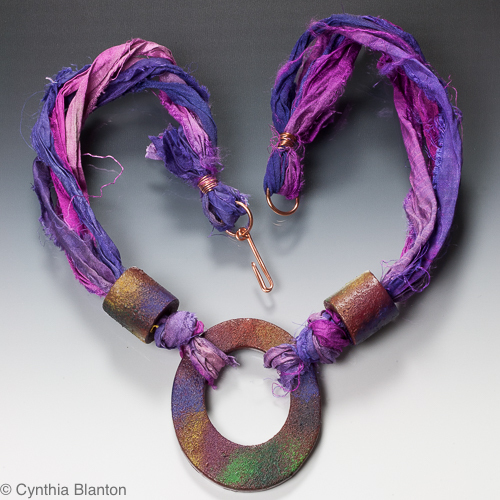 I love the fact that the sari silk comes from women’s cooperatives in India and Nepal - the scrap silk doesn’t end up in landfills and the women have a safe place to work and make a living. 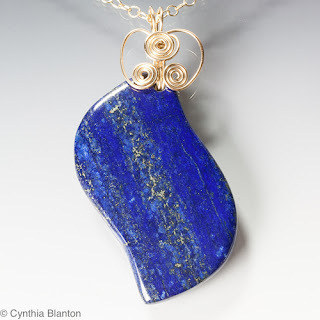 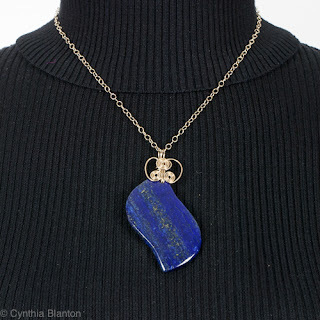 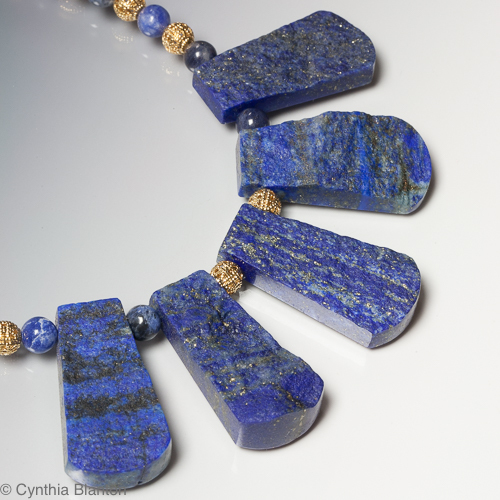 I love Lapis especially the stones with lots of golden flecks of pyrite running through them. I saw this fan of rough-cut stones and had to buy them, but then I had to figure out what to make with them. 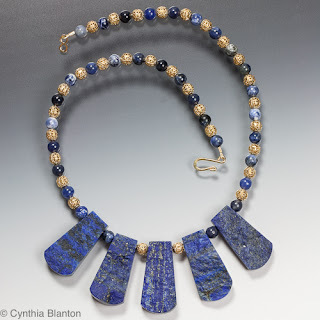 My solution is this gorgeous necklace composed of the Lapis, blue Sodalite beads, gold-plated filigree beads and a gold-plated clasp. 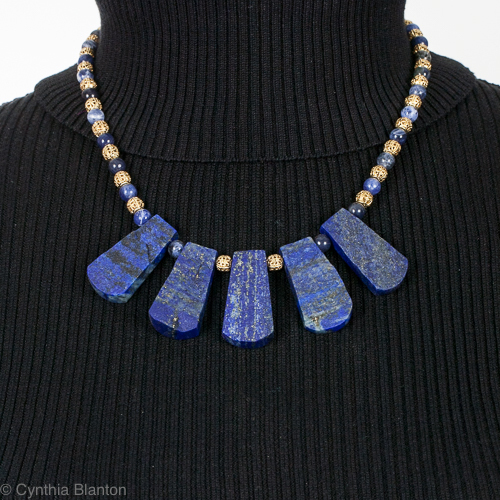 I really like the rough cut because it emphasizes that these are STONES.